T-Mobile is once again lighting up the East Coast with some new Extended Range LTE coverage. 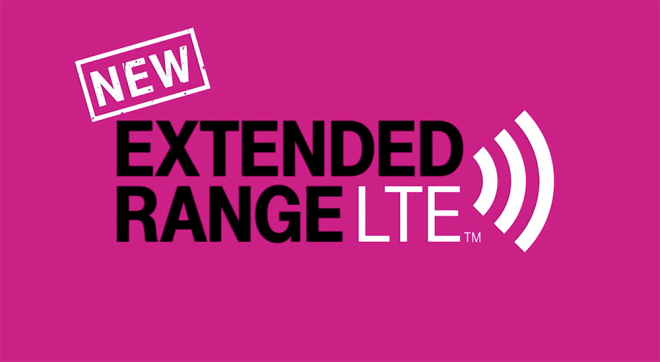 The Jersey Shore will be a popular spot over the coming months as folks flock to the beaches there, so this is a good time for T-Mobile Extended Range LTE to go live there. As for where it’ll officially launch next, that’s still a mystery, but here’s to hoping that T-Mo follows today’s launch up with another one soon just like it followed last week’s Boston rollout with today’s Jersey Shore launch. We have faith in you to run in band 12 here in Las Vegas. Vegas is a weird one huh? You’d think with the new T-Mo arena that would have been a top priority. Your right .. We keep hearing weekly about band 12 being expanded or new spectrum purchases and all I hear in Vegas are the crickets. does anyone know what batch they are rolling out? Is this from the Dec acquisition or the January one or I think there was another in February. What are they on and is Dec finished anyone know the timetable for finishing all the current band 12 holdings. Well Boston and NJ were part of the original band 12 purchase from Verizon, in NJ for sure and Boston (I think) they were delayed by channel 51 tv stations in the area. But they signed a coexisting operation contract in June- July of last year. It takes time for them to deploy, especially if their is any channel 51 complexities in your area. They are making good progress , but I don’t think they anywhere close to finishing up all band 12 holdings. The new ones this year are probably still in the planning stages. Boston license came from metroPCS, not VZW. Word has it that Bruce Springsteen himself installed the towers in the wee hours before dawn, after coming back from playing for four hours at Madison Square Garden and finding he couldn’t call Little Steven to tell him he left his head scarves in the back of Springsteen’s pick up truck. Jersey Shore? I thought that show went off the air! Should have LTE very soon. In other news, today in the Philadelpha, PA / Trenton, NJ area, service mode on my Note 5 shows Band 4 20MHz today, and it was 15MHz yesterday. Speeds have increased a bit here finally! I live in the Philadelphia area and I haven’t had band 12 in awhile on my Nexus 6. Well my excitement ended when I did a speedtest in Trenton, NJ where I work, and even with 20×20 Wideband, the speed is still crap. Less than 1MBit/sec. Outside of Trenton it’s blazing fast though. Apparently they have not upgraded their backhaul in some areas. Any news if band 12 will be deployed in Summit NJ or parts of North Jersey near Union city. Got family up there that want to switch to T-Mobile. I’ve been seeing band 12 in Alamogordo NM. Next time I go, I’ll send a screenshot. Does anyone know on the Tmobile app if their is a link where u can let Tmobile know when you r in an area with no service?